I first came to London as a graduate student. At the time I didn’t have much money, so I took my bicycle with me and biked all over the city. I was overwhelmed. Everywhere I looked there was something to explore—museums with famous paintings I had only ever seen in books; monuments and buildings I had only ever encountered on TV; streets teeming with locals and tourists; pubs full of people and good conversation; markets overflowing with items from around the world; parks with trees and lush flowers and plant life appearing like serene oases around every third corner; bars and clubs with bands and djs playing music from all kinds of cultures; and an endless succession of stores with books, music, musical instruments, artifacts, and more books. Since then I’ve been to back to London more often than I can remember. I spent a semester teaching in England, exploring its cities and its countryside—getting to know the island’s great variety and all it has to offer. And for ten years now I’ve been taking students to London, introducing them to its immense metropolitan culture. This picture was taken in Boscastle, on one of the paths leading out from behind the Wellington Pub. My friend Jeff Cherrington—Lead Ranger for the National Trust in Boscastle—tells me that this huge and crazy plant dates back to the age of the dinosaurs. London is one of the largest hubs of the world. There are over 300 languages spoken in the city today. But even with its immensity London can be as intimate and friendly as a small town. Every time I return to the Russell Square area with my students in the summer it feels like coming home. Our B&B on Cartwright Gardens is only a couple tube stops from the bustle of Covent Garden, Soho, Piccadilly, and Big Ben. But it’s a neighborhood that has all the charm of a snug village community. And this isn’t even to mention England’s countryside, which can be more spellbinding than London itself. England’s landscape has some of the most stunning views imaginable (just take a look at the photos on this site that my students took on past trips). Places like Stonehenge, Avebury, Leed’s Castle, the White Cliffs of Dover, and Boscastle are almost too unbelievable to be true. But they are. And I hope you can come join us this summer and see them, and more, for yourself. 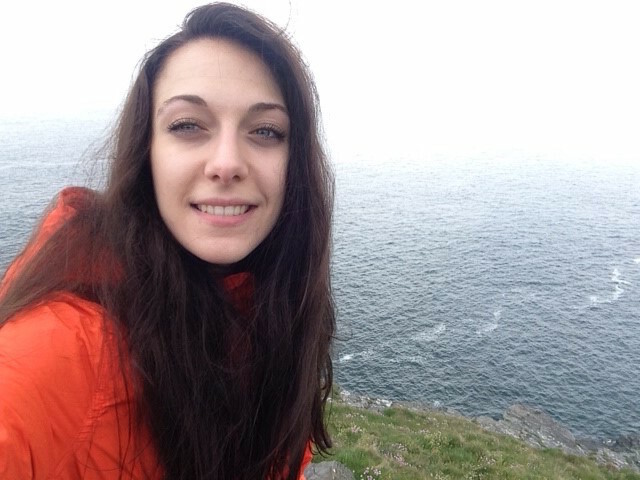 "When Prof. Marzec asked me whether I would possibly be interested in working as the TA for “Global Studies in London and the UK” in 2016, I was thrilled. Partially because I was so excited at the prospect of returning to London… Ok, mostly because I was so excited at the prospect of returning to London. I completed my undergraduate degree at a university a forty-minute drive outside the city and was always coughing up the train fare to ride in on the weekends (until I had to cough up the train fare to ride in all the time for work – different story). During those weekend visits I would walk. No buses and as little tube as possible. Yes, you save a bit of money, but, more importantly, you find the most incredible nooks and crannies and end up understanding how a global city is connected, constructed patterned – ethnically, historically, aesthetically. And you end up with a healthy crop of blisters. In a nutshell, that’s what we do during the program. We like to wander: down the penned roads on our handy pocket maps, around and around the Brick Lane and Camden markets, through museums, over bridges, into cafes, onto trains, into playhouses, music jams, and pubs." Still have a question that we weren't able to answer, send us an email and we will get back to you!